Paris is a very rich city in history and culture. With the amount of 30 million foreign visitors per year, Paris became one of the most visited cities in the world. Actually, uniqueness of Paris lies in its monuments and architecture such as the Arc de Triomphe, the Eiffel Tower and road and neo-classical Haussmann building, but Paris is also a resource for other modern attractions such as Disneyland. Museums, opera and concert halls of Paris are also a source of culture and entertainment in Paris. Therefore, not surprisingly millions of tourists from all over the world always taking the time to visit this famous city. Although in fact, these places are also very popular in France and for those who like to travel a lot, following are 5 best places to visit in Paris, France. Arc de Triomphe or the Gate of Victory is a monument in the middle of the Place Charles de Gaulle, aims to celebrate the French victory and honor all those who died in battle. It is one of the most popular monuments in Paris and is one of the largest gate in the history. In addition, the gate was built to commemorate the victory of Napoleon. This gate is located in the middle of the roundabout Place Charles de Gaulle, at the western end of the Champs-Élysées, Paris, France. 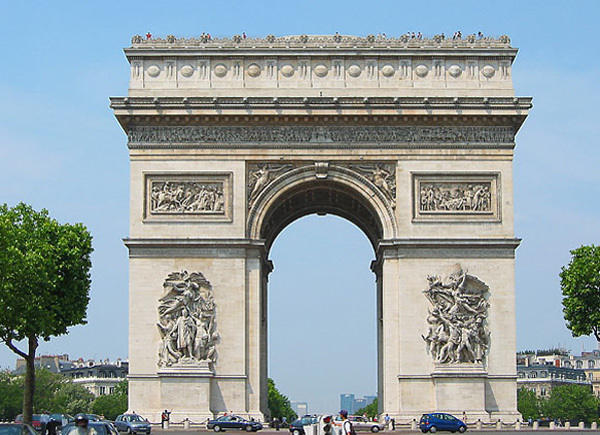 Arc de Triomphe was built in the orders of Napoleon in its heyday in 1806, after he won against Austria in the war of Austerliz. Arc de Triomphe adorned by many sculptures and reliefs depicting the Napoleonic wars. There are also many other carvings on the walls of this monument. In addition there are many more that can be seen if we went to the Arch de Triomphe, such as the tomb of an unidentified soldier, admission to the museum at the Arch de Triomphe, and rose to the top and looking over the streets of Paris centered on the Arch de Triomphe. Louvre or Musée du Louvre, is a former French royal palace that is now one of the largest museums in the world and also the most famous museum in Paris. This museum became the most visited museum in the world, with the visit of more than 8 million people every year. Louvre Museum contains more than 380 thousand exhibits objects and displaying more than 35 thousand works of art. There is iconic Mona Lisa Painting by Leonardo da Vinci who is popular in the Louvre Museum. 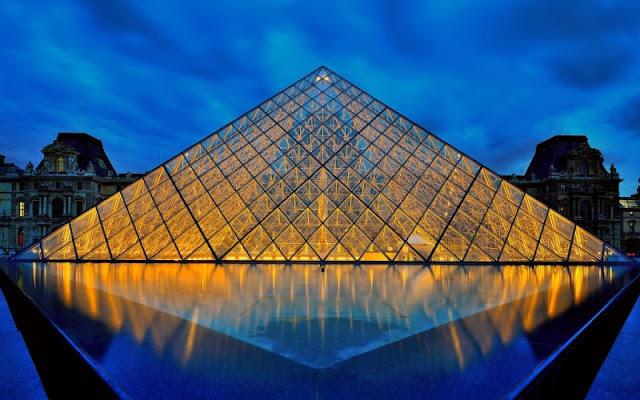 Two other masterpiecse which are now becoming increasingly popular after setting the location in the novel The Da Vinci Code and the film adaptation are both success, also can be encountered in the Louvre Museum. In addition to the Mona Lisa, there are also the Louvre Pyramid and Reverse Pyramid. Previously the building was converted into a museum in the Louvre Palace (Palais du Louvre) which was built in 1190 and experienced the stage of completion as seen today. Then in 1989 a Chinese American architecture, IM Pei built a glass pyramid which is used to make one of the three entrances. To be able to enjoy a museum which exhibits more than 35,000 art objects from pre-history from the 19th century, you have to come early in the morning around 09.00 because it is always crowded at noon. Saint-Malo is a French town located in the western part, precisely in the province of Brittany on the English Channel. The population numbered 50,675 inhabitants and has an area of 36.58 km². While the population density reaches 1,385 inhabitants / km². Saint-Malo, originally built as a walled citadel keeping the river Rance estuary, was for centuries became the home for the feared pirates. 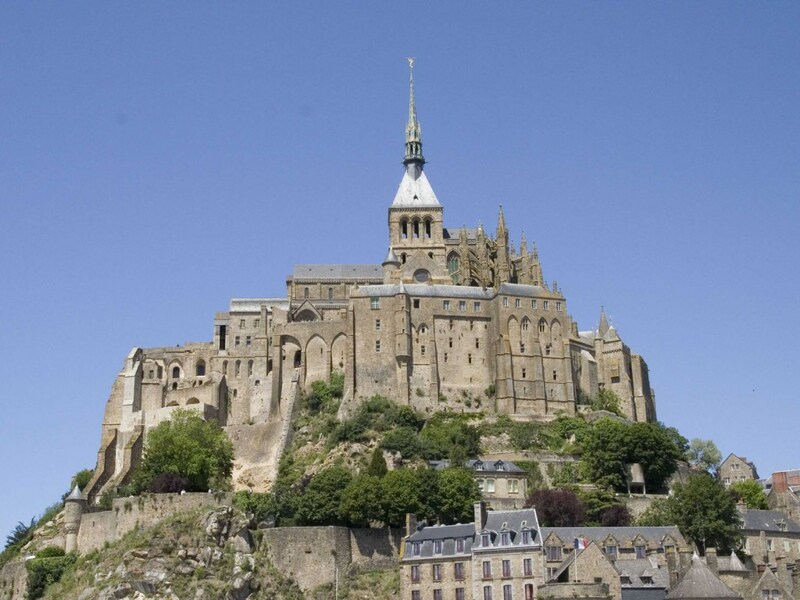 They all went to Davy Jones' Locker, though, and now it is the most visited city in Brittany. Stroll the bustling old town reconstructed and spacious beach, be sure to stop at the Grande Porte, Porte St-Vincent, the castle town with the Musée de la Ville and the Grand Aquarium. 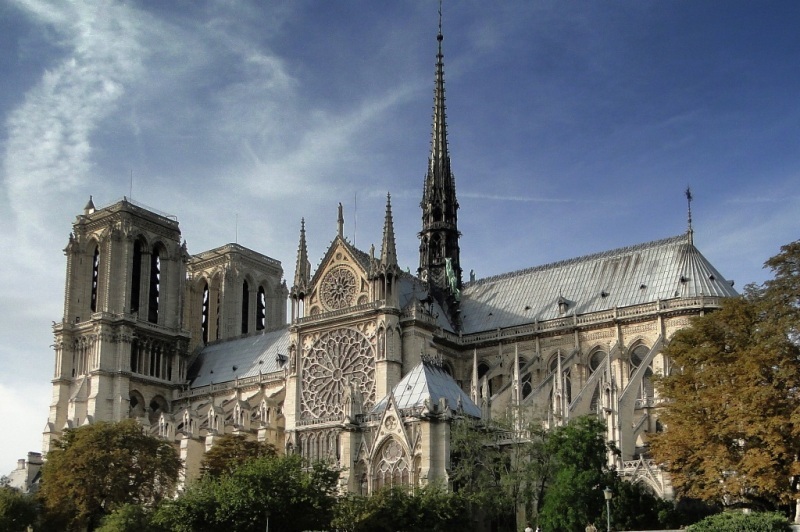 Notre Dame de Paris or the Notre Dame Cathedral is the most famous church as a tourist spots in Paris. This gothic-style cathedral is located on the Île de la Cité, a small island in the middle of the river Seine, Paris, France. This is a 12th century building in Paris. Notre Dame is regarded as the finest examples of French Gothic architecture style and is one of the most popular churches in the country. In addition to be a tourist spot, cathedral "Our Lady in Paris" is still used for Mass Archbishop of France. MDers who visited this place also can enjoy the coolness of the river Seine, not far from this building. In addition to entry into the church to see the beautiful interior, we are also able to climb up the tower to see the view of Paris from the top. Additionally, the cathedral also has a basement storage space that can be visited. Notre Dame cathedral in Paris rear there is also a beautiful garden that became one of the favorites parks for Parisians. If you are visiting Notre Dame Cathedral, you can also stop by to see places of interest nearby that are both located on the island of Ile de la Cite. In addition to the Eiffel Tower, one that can not be separated from Paris is Cafe. It seems cafe is not only a way of life, but also culture for Parisians. 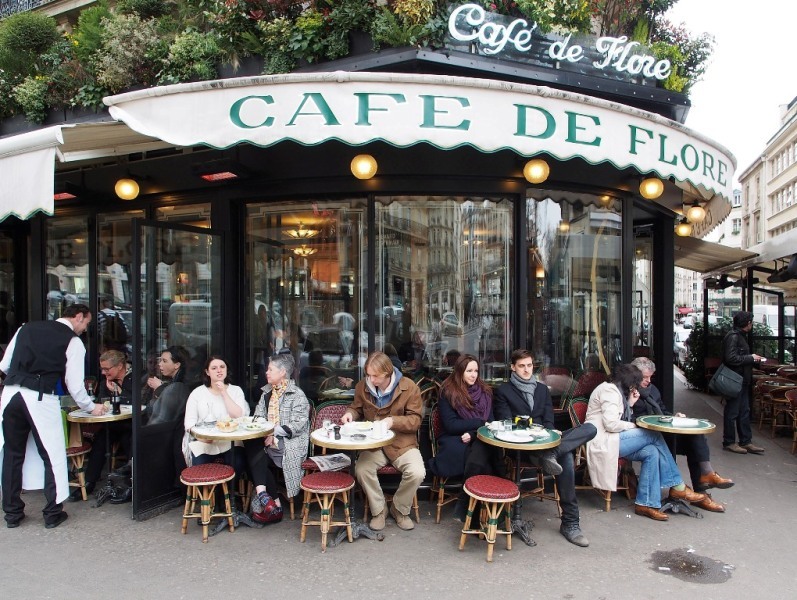 During a visit to Paris you will find a lot of rows in a roadside cafe that provides outdoor seating on the sidewalk. Almost all cafes in Paris have a classic design and typical French which can be a refreshing sight for eyes. Visiting Paris would be incomplete without visiting one of the popular cafes to taste a variety of culinary that is served there.